Located in the heart of Silkeborg, this eco-friendly hotel is within a 10-minute walk of Paper Museum and Silkeborg Museum. Indelukket and Museum Jorn, Silkeborg are also within 1 mi (2 km). Silkeborg Station is 19 minutes by foot and Silkenborg Station is 19 minutes. Situated on a lake, this eco-friendly hotel is within a 15-minute walk of AQUA Aquarium & Wildlife Park and Museum Jorn, Silkeborg. Indelukket and Silkeborg Museum are also within 2 mi (3 km). Silkeborg Station is 25 minutes by foot and Silkenborg Station is 26 minutes. 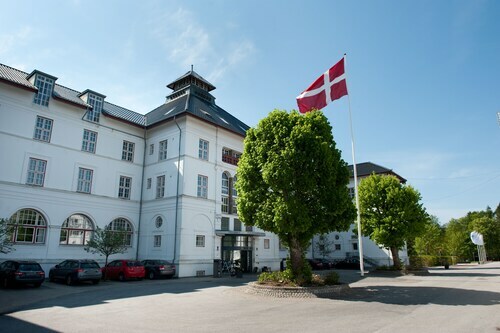 This family-friendly Silkeborg hotel is located in the business district, within 3 mi (5 km) of Art Center Silkeborg Bad, Silkeborg Museum and Paper Museum. Indelukket and Museum Jorn, Silkeborg are also within 3 mi (5 km). Situated on a lake, this eco-friendly hotel is within a 10-minute walk of Museum Jorn, Silkeborg, AQUA Aquarium & Wildlife Park, and Indelukket. Silkeborg Museum and Paper Museum are also within 2 mi (3 km). Silkeborg Station is 18 minutes by foot and Silkenborg Station is 19 minutes. How Much is a Hotel Room in Silkeborg? 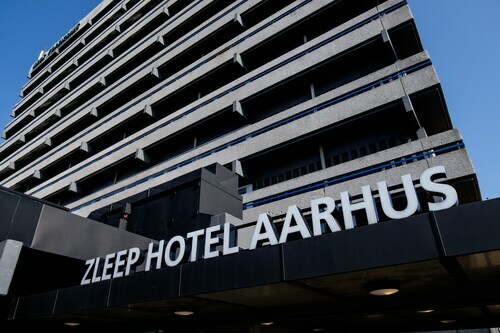 Hotels in Silkeborg start at $92 per night. Prices and availability subject to change. Additional terms may apply. Within a 6-mile (10-kilometer) radius of the heart of Silkeborg, on Travelocity's booking page you can find a limited, yet excellent assortment of places to rest and relax. 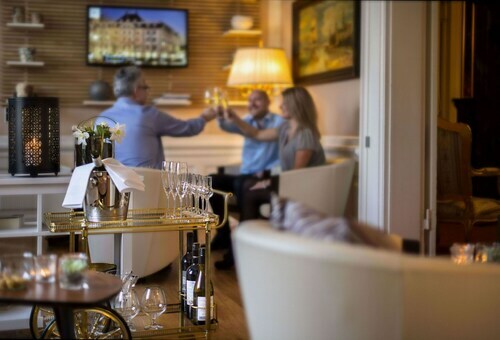 Silkeborg features 6 hotels and apartments, all within a 6-mile (10-kilometer) radius of the city center. 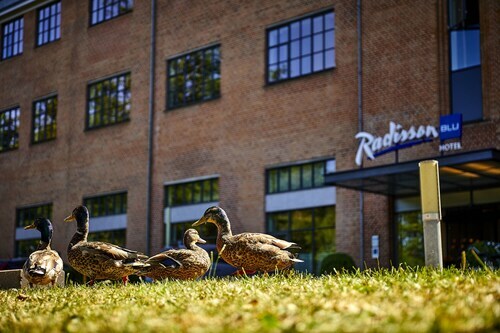 It doesn't matter that Silkeborg doesn't lay claim to hosting a varied catalog of Travelocity-listed hotels and apartments in the heart of the urban center, Radisson Blu Papirfabrikken Hotel, Silkeborg is close enough to be suitable for visitors. Silkeborg offers just a handful of economical lodging options; you'll find the Tollundgaard Golf Park located 6 miles (9 kilometers) from the center of town. The Dayz Søhøjlandet is situated 7 miles (11 kilometers) from the central part of Silkeborg. If you would prefer another option, the Radisson Blu Papirfabrikken Hotel, Silkeborg can be found approximately 0.4 miles (0.6 kilometers) away. The Hotel Dania along with the BW Premier Collection Gl. Skovridergaard are two other places to book accommodation around Silkeborg. Looking for things to do? You could spend the day visiting Glass Museum and Fregatten Jylland, which you'll find in Ebeltoft, 45 miles (70 kilometers) to the east of Silkeborg. 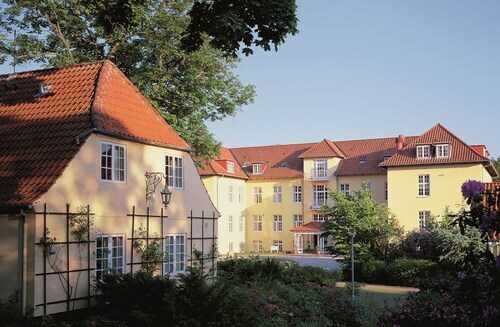 A few Travelocity-listed Ebeltoft lodgings include the Hotel Ebeltoft Strand and Ebeltoft Strand Apartments. 25 miles (44 kilometers) northeast of Silkeborg, you will find Randers, which features the Hotel Randers and Best Western Plus Hotel Kronjylland. The Randers Tropical Zoo and Museum of Danish Art are some more popular sites to visit when visiting Randers. If cheering on sport is always on your mind, put aside some time for a trip to Energi Nord Arena, which is located 60 miles (100 kilometers) to the north of Silkeborg. 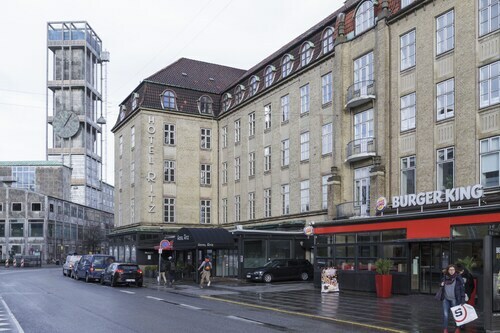 Modern travelers that enjoy the ease of locating a hotel close to the stadium, make a reservation in the Radisson Blu Limfjord Hotel Aalborg or Best Western Prinsen Hotel. Silkeborg attracts visitors with some fantastic scenic attractions; find more by spending a few minutes at Travelocity's enlightening Silkeborg accommodation and attractions guide.